MOSCOW, Russia -- A veteran activist who investigated the deaths and disappearances of Russian soldiers in Ukraine has been jailed, an advocacy group said Saturday. 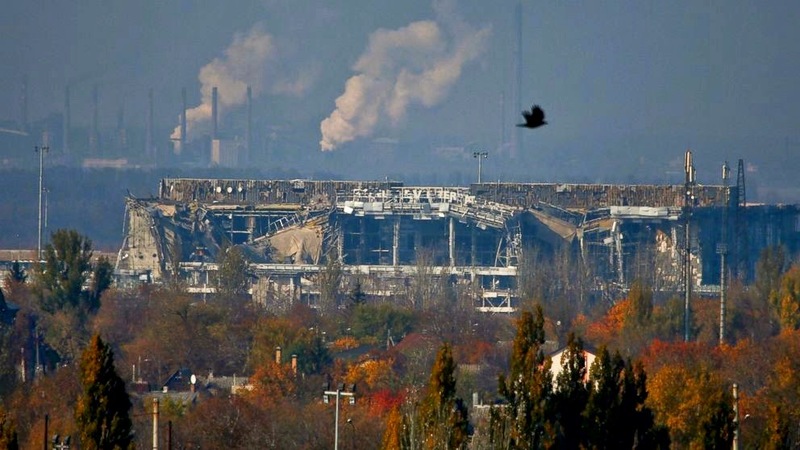 The normally functioning Avdeyevsky chemical plant is seen behind the main terminal of Donetsk Sergey Prokofiev International Airport hit by shelling during artillery battles between pro-Russian rebels and Ukrainian government forces in the town of Donetsk, eastern Ukraine Friday, Oct. 17, 2014. Ten Russian troops were captured in August in eastern Ukraine amid fighting between pro-Moscow separatists and Ukrainian troops after weeks of Moscow denying involvement in the Ukrainian conflict. Authorities insisted the captured soldiers got lost while patrolling the border, and the deaths were accidental and happened in Russia. The Soldiers' Mothers of St. Petersburg, a highly respected non-governmental organization with a long history of working to defend the rights of soldiers, said Saturday that its colleague in southern Russia who was investigating the deaths and disappearances was detained on Friday. The group said Lyudmila Bogatenkova, 73, was charged with fraud and ordered to be jailed. "Human rights activists consider the detention and jailing of Lyudmila Bogatenkova as an act of reprisal connected to her activities," the group said in a statement. Law enforcement officials in the Stavropol region weren't immediately available for comment on Saturday. Bogatenkova and other activists have collected data about dozens of Russian servicemen who were killed in recent months and sent it to investigators, pushing for an inquiry. In August, the presidential human rights commission published an open letter demanding an investigation into the deaths of nine members of a motorized infantry brigade also sent to the southern Rostov region for military exercises. Similar questions were raised by families of other Russian servicemen about unexplained deaths and missing or captured soldiers who were said to be on military exercises. Lev Shlosberg, an opposition activist from the western region of Pskov, was attacked by unknown assailants and sustained brain damage in August shortly after he published an investigation about the death of the Pskov paratroopers. 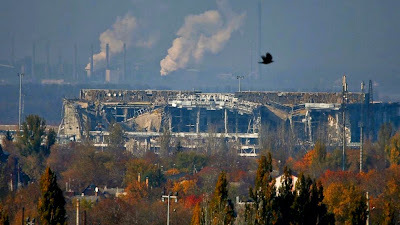 Ukraine do not need socialism but, Ukraine need to build machines which will build other machines. Learn from the mistakes of the past and implement the good ideas.